Larry Young, PhD, chief of Behavioral Neuroscience and Psychiatric Disorders at Yerkes National Primate Research Center, director of the Center for Translational Social Neuroscience, and Timmie Professor of Psychiatry at Emory School of Medicine. Dr. Larry Young, an associate professor of psychiatry and behavioral science in Emory's School of Medicine, describes his research with one of the only monogamous vole species to better understand social bonding. 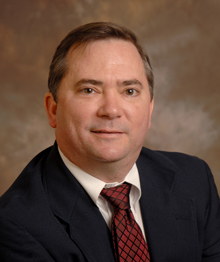 Larry Young, PhD, received the 2012 Daniel H. Efron Research Award from the American College of Neuropsychopharmacology (ACNP) at the organization’s recent annual meeting in Hollywood, Fla. The ACNP, founded in 1961, is the nation's premier professional society in brain, behavior and psychopharmacology research. The organization presents this award, its highest honor, to an individual on the basis of outstanding basic research contributions to neuropsychopharmacology. Young is division chief of Behavioral Neuroscience and Psychiatric Disorders at the Yerkes National Primate Research Center, director of the Center for Translational Social Neuroscience at Emory University and William P. Timmie Professor of Psychiatry at Emory’s School of Medicine. He and his research team conduct research on the neurobiologial bases of various neural processes pertaining to social behavior and cognition. This connects to the field of neuropsychopharmacology, which involves the evaluation of the effects of natural and synthetic compounds upon the brain, mind and human behavior. Young is interested in understanding the neural circuitry and genetics underlying social information processing and the formation of social bonds. He is also interested in understanding the biological bases for behavioral diversity and how such behaviors may have evolved. His groundbreaking research has highlighted the roles of oxytocin and vasopressin in regulating social behavior. Young’s work has important implications for understanding psychiatric disorders that are characterized by disruption in social cognition, including autism spectrum disorder and schizophrenia. His lab is now using this basic understanding of social cognition to identify novel drugs to treat social deficits in psychiatric disorders.